Even with over ten years of computer consulting experience, I still don't know how to attach a pdf to a blog post! Fortunately there are a ton of bloggers who are way smarter than me and have figured this out - big shout out to Chelsea and her tutorial on this very topic. 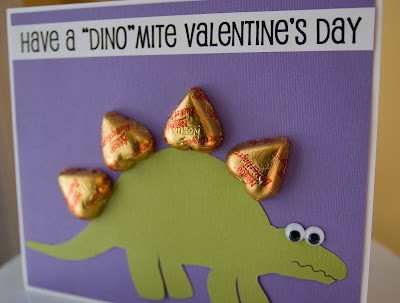 All this to say, please disregard the link at the bottom of this post that no longer works and use this one instead: V-Day Dinosaur Template that really works! This little dino has been popping up in a variety of different places around the net, most recently in this article that appeared on Glo...I'm beyond honored and excited to be included in this group of crafty folks! A few people have asked me for a template of the dinosaur. I wasn't exactly sure how to attach a file within a blog post, but I think I figured it out (still learning after almost 2 years of blogging). Here's a link to the V-Day Dinosaur Template. By the way, the darkened area on the template is where the googly eyes should go. I hope this helps!